If you didn’t know, we recently moved to a new, larger location in Madison Heights, MI. The 40,000-square-foot space now houses our marketing and sales departments, as well as our e-commerce fulfillment center under one roof. This allows more inventory to be stored on-site so our customers get their orders quicker. After all, we made this move to better serve YOU! 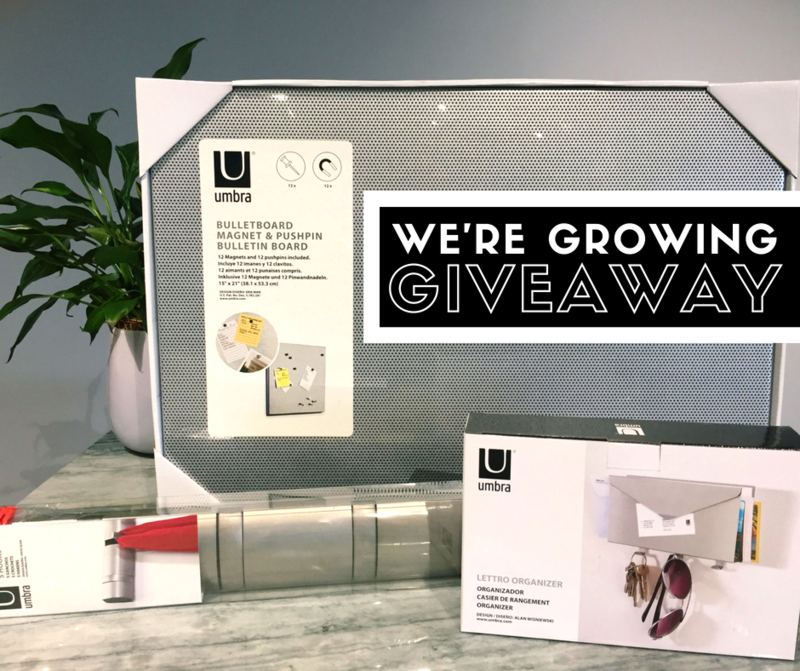 It’s a pretty big deal and to celebrate, we’re giving away some of our favorite products—starting with this Umbra prize pack! One lucky person will get their hands on a wall-mounted mail holder, a five hook coat rack, and a magnetic bulletboard, adding up to over an $80 value! A random winner will be announced on Friday, August 3 at 1:00 (EDT). Full details are listed below. It only takes a few seconds so…ready, set, go! 1. Entry: No purchase necessary to enter or win. Contestants will enter by “Liking” the Shelving Inc. Facebook page and commenting their answer on the contest picture. 2. Eligibility: This contest is only open to legal U.S. residents. Contestants must be over the age of 18. Only 1 entry per person. Employees of Shelving Inc. (along with its contractors, affiliates and subsidiaries) and their families are not eligible. Void where prohibited by law. 3. Deadline: All entries must be received by July 30th at 1:00 (EDT). 4. Winner Selection: Employees of Shelving Inc. will choose winner at random. 5. Prize: Winner will receive an Umbra prize pack worth over $80. 6. Winner Notification: Winner will be notified through Facebook on Friday, August 3. Inability to contact a winner may result in disqualification and selection of an alternate winner. 7. Disclosure: By participating in this contest, you acknowledge that this contest is in no way sponsored, endorsed or administered by, or associated with, Facebook and release Facebook from any and all liability arising from or related to this contest.